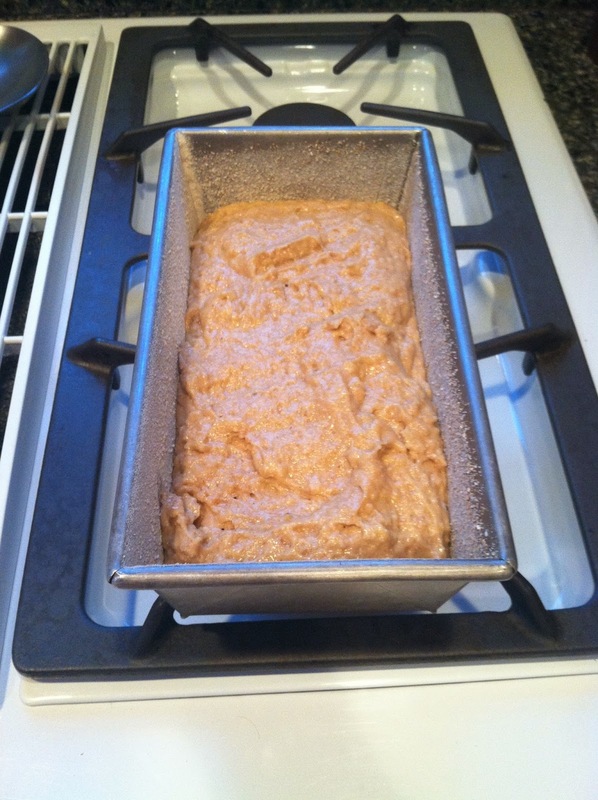 One of the most important aspects of baking is the ratio of flour to water. Getting the ratio right can mean the difference between a loaf that rises correctly and bakes nicely in the oven, and one that is too dry or too limp to shape correctly. 3. How do I calculate a baker’s percentage? 4. How does hydration affect my bread? This ratio of flour to water is called hydration (naturally), and once you get the hang of it, bread baking is easier, cleaner, more successful, and faster. When I teach Bread Camp, the first thing I tell participants is to go out and buy a kitchen scale. Don’t worry, I’ll wait while you go to the store. Why is a kitchen scale so awesome? Because you can measure ingredients more accurately with a scale, measuring them by weight, than you can by measuring their volume. 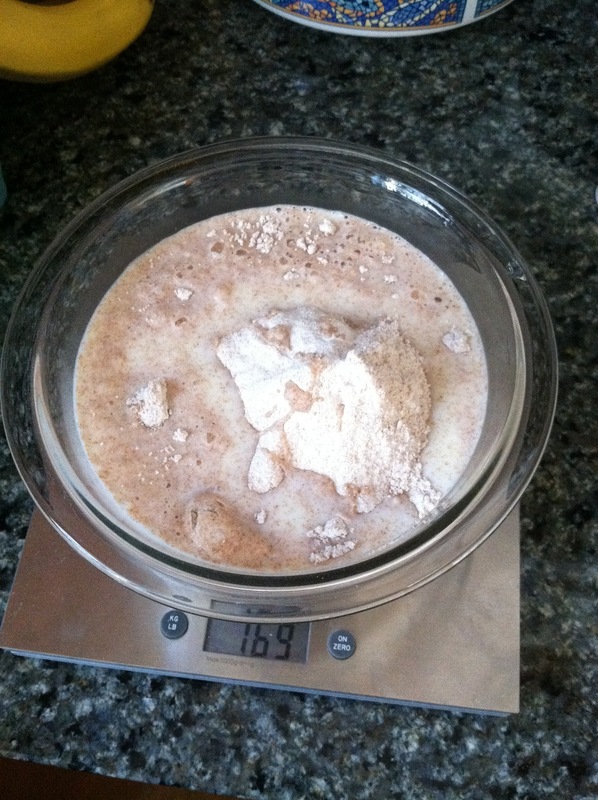 When you measure flour by volume, so many things can throw off an accurate measurement. How you scoop the flour, whether you sift it first, the humidity in the air, etc. When you measure it by weight, however, it is always the exact amount regardless of these interfering factors. Also, measuring ingredients by weight means you can measure everything into one bowl, instead of getting every spoon and cup in your drawer dirty. You only have one unit of measurement, grams or ounces (whichever you prefer), instead of having to convert spoons to cups, or milliliters, or fluid ounces. Just zero out your scale after each ingredient. Having a kitchen scale also makes calculating hydration easy. But we might be getting ahead of ourselves. First, what is a good ratio of flour to water? Good question. It depends on what type of bread you want to make. It also depends on the type of flour you want to use (more on that in a second). In a baker’s ratio, the flour is always the 1 in the ratio. 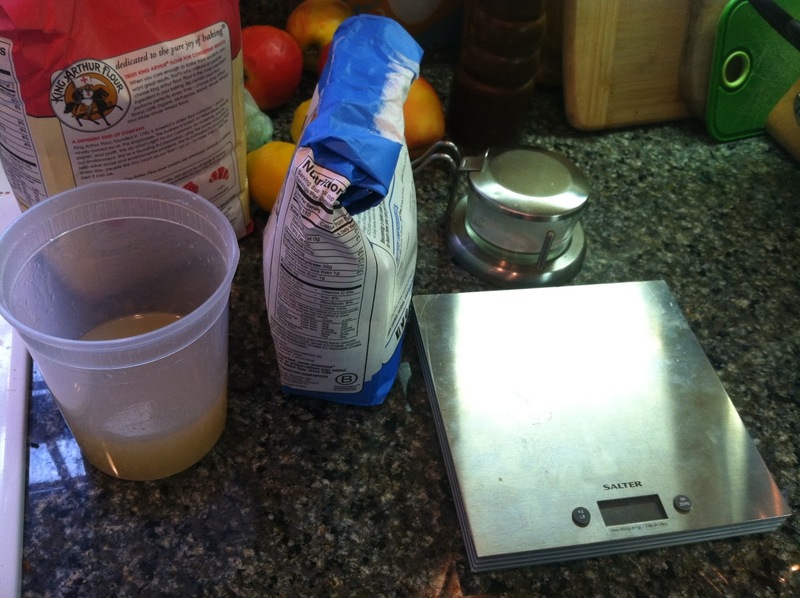 The hydration level tells you the percentage of water in relation to the flour. Workable hydration levels for bread fall between about 66% and 100% hydration. So for every 100g of flour, for example, your recipe might call for 66-100g of water. 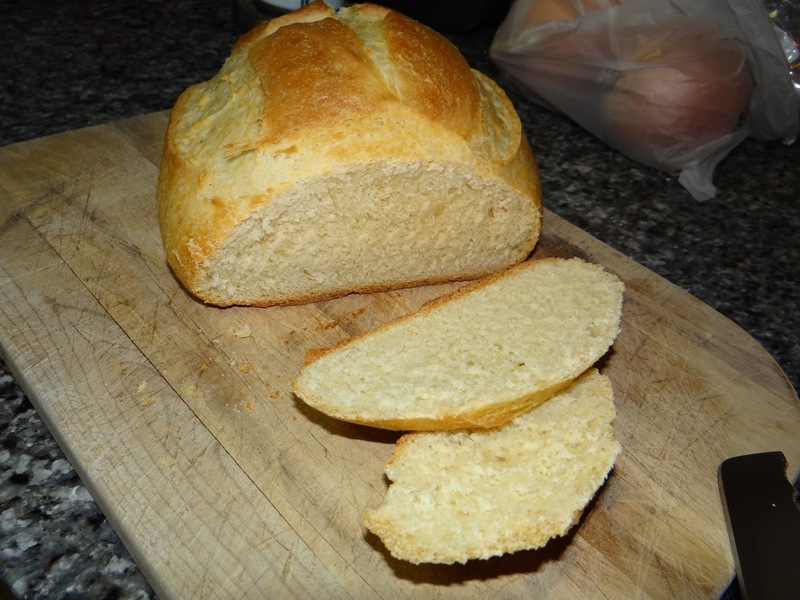 My usual go-to bread, that I can make with my eyes closed, calls for 375g of flour and 250g of water. Therefore, it’s a 66% hydration dough. 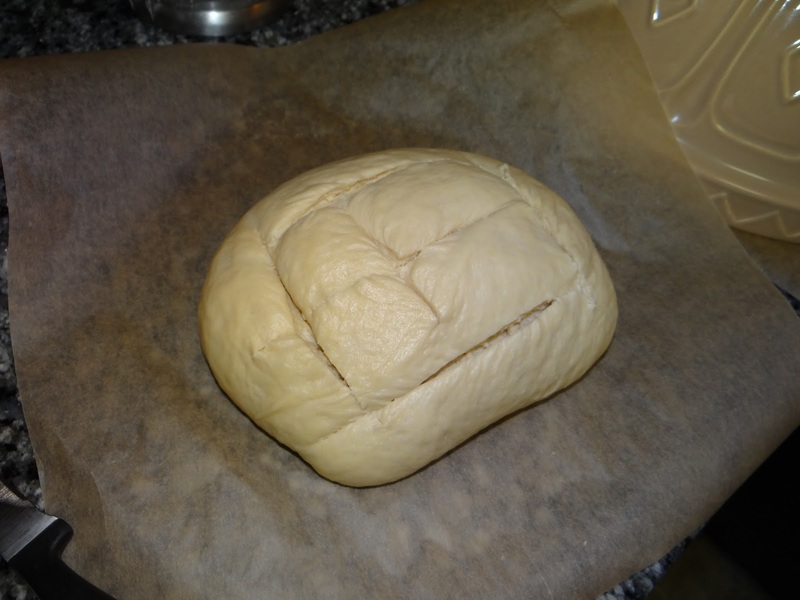 Hydration can affect the pliability of your dough and how easily you are able to handle the gluten strands to shape the bread into a nice shape for baking. A low hydration dough is easier to handle than a high hydration dough. What is so awesome about baker’s percentages? 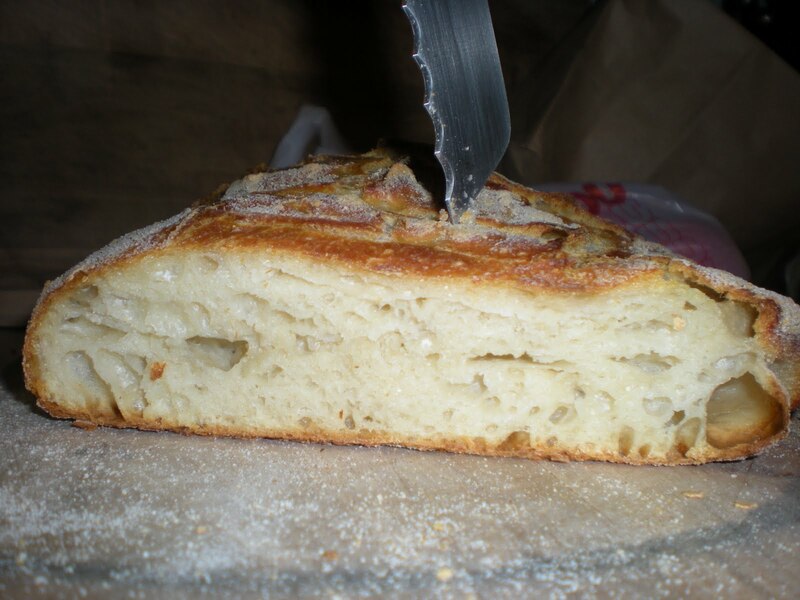 1) If you know the hydration of the dough you want, it is easy to scale up or down depending on the number of loaves or the size loaves you want to make. Volume measurements are easy to double or triple, but if you want to make a single loaf slightly bigger, you are out of luck. 2) If you make a mistake, it is easy to correct. I REPEAT: IF YOU MAKE A MISTAKE, IT IS EASY TO CORRECT. This is so major. Sometimes, when you measure out ingredients by weight into the same bowl, accidents can happen. You can pour too much of this or that, and if you were using volume measurements, you would be stuck. 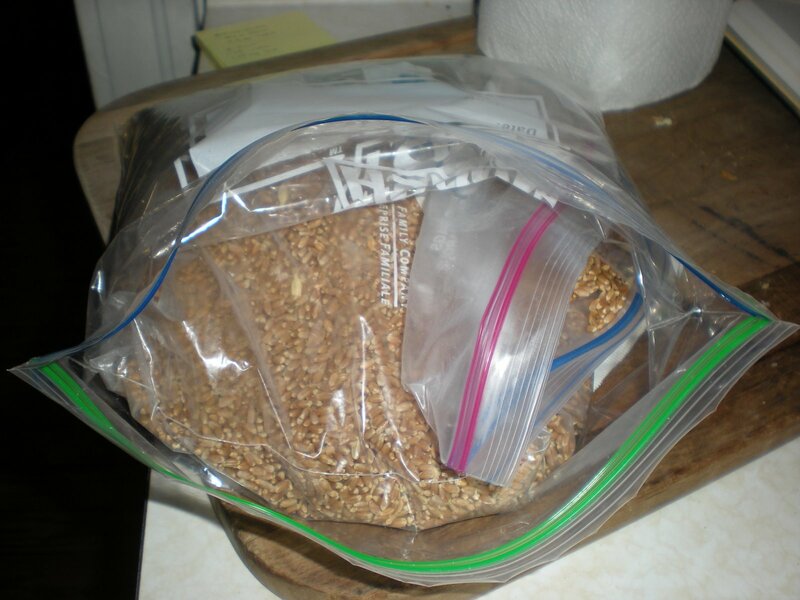 How would you know how much water or flour you had added? You could try to scoop out some of the extra, but you still don’t really know how to fix it for certain. With a scale, if you’ve been zeroing out between each ingredient, then you know exactly how much you added. And even better, it’s a snap to compensate for the mistake using a simple equation. I think I’ll just use this picture from now on to warn readers that bread math is coming up. Let’s say you want your bread to have a 66% hydration level. If you accidentally added 500g of flour, you just need to solve for the amount of water. Here’s a little secret: you can go up or down twenty or so grams of flour or water from the exact ratio weights and your dough will be just fine. Ok, sure, but what does it mean that your bread has 66% hydration? What does that look like? When you’re working with all-purpose flour, a 66% hydration dough is going to be your standard sandwich bread, with a tight crumb and small holes. 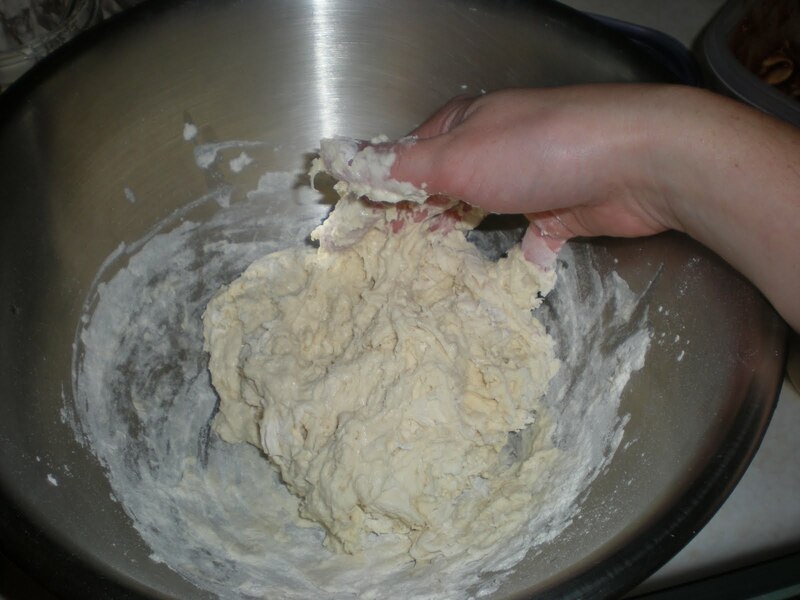 The dough is easy to shape and the gluten strands hold the shape tautly. A 75-85% hydration bread is going to have bigger holes. 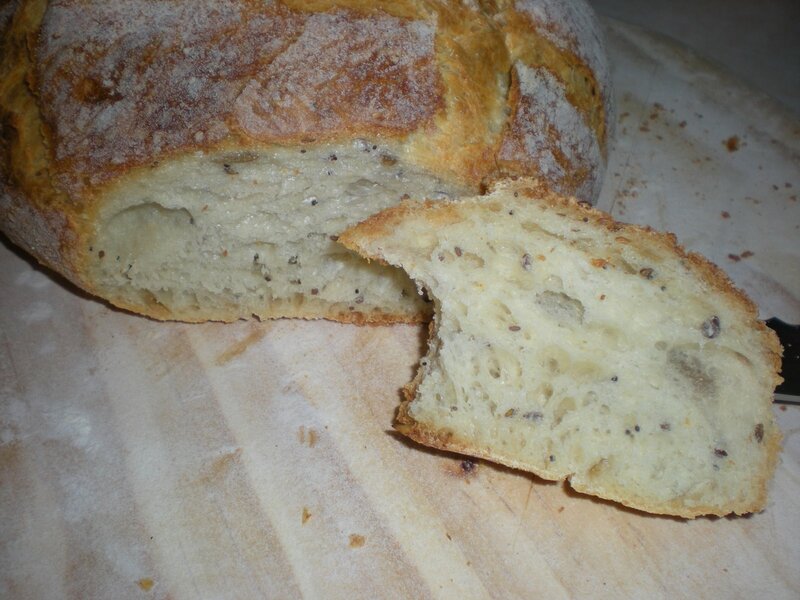 This is your french bread or other boule-type bread with crackly crust and large holes inside. 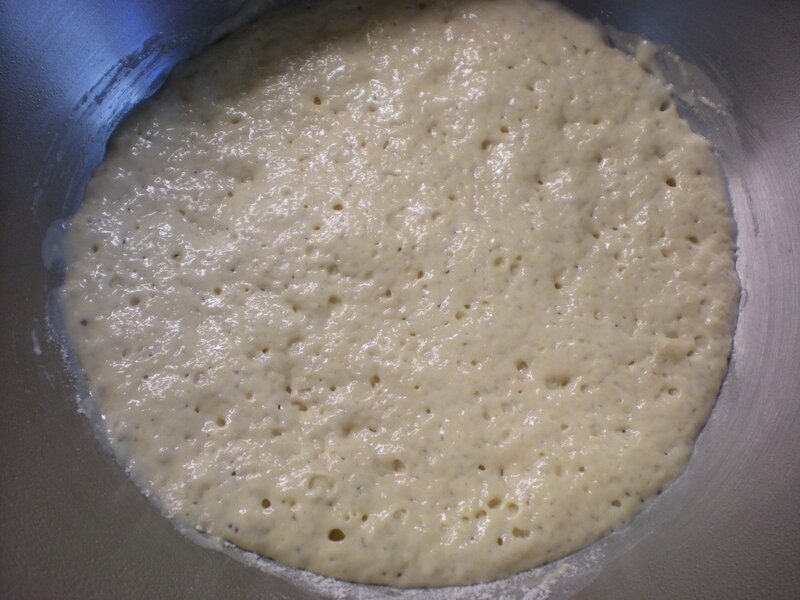 This dough requires a few stretch and folds over the course of the first rise in order for it to maintain its taut gluten structure. Anything above 85% is going to be tricky to shape. These are your ciabattas or some pizza doughs. 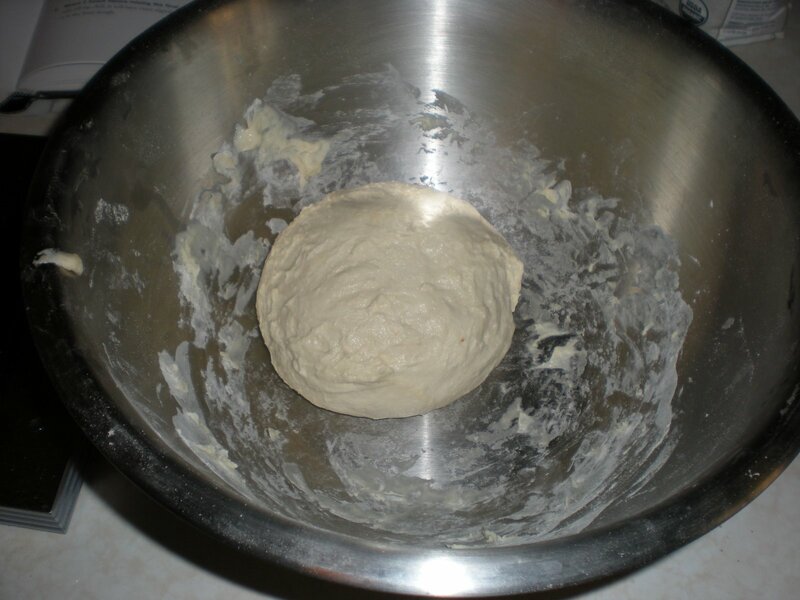 The dough is very slack and does not maintain its tautness at all. It doesn’t stay in a ball shape as it rises. It develops the largest holes and a crispy crust. But the high hydration of quick breads doesn’t affect their structure because eggs provide most of their structure, not gluten. I’m super excited about hydration! Is it really that easy? Well, yes and no. As I hinted at earlier, hydration levels stay the same no matter what type of flour you use, but how the dough looks and feels at each hydration level is going to be different if you use bread flour, whole wheat flour, or all-purpose flour. For bread flour or whole wheat flour, you will need to add MORE water to achieve the same results as you would with all-purpose flour. 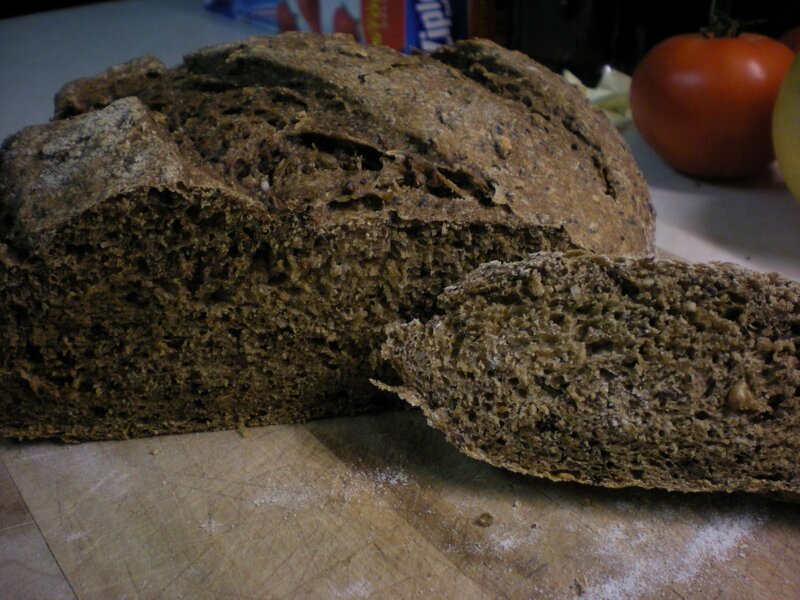 Both bread flour and whole wheat flour absorb more of the water, so at a given hydration level the dough will feel drier. How much more water should you add? About twenty grams or so more should be about right. 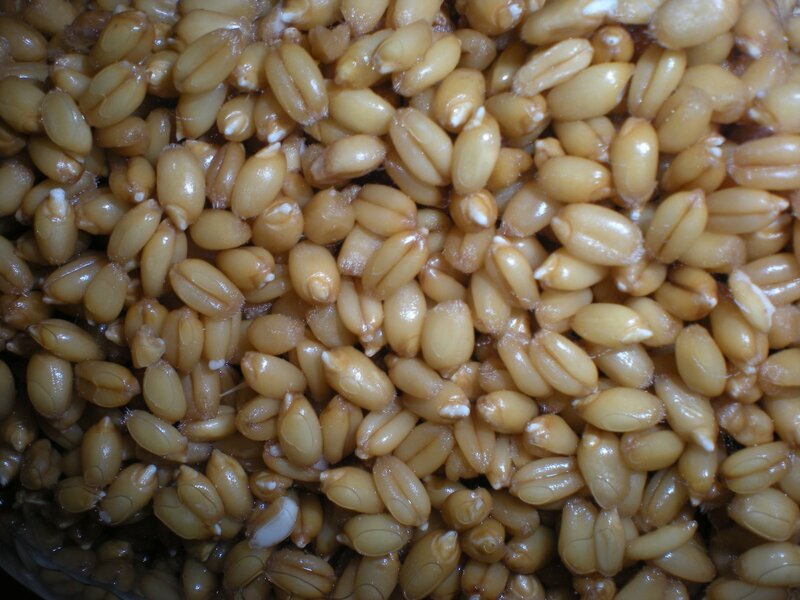 However, do keep in mind that you will never get big holes from whole wheat flour. It just doesn’t have a high enough percentage of glutenin and gliadin proteins to form long, strong gluten strands, even with heavy kneading. But what about the other ingredients? Salt and yeast? How do those factor into hydration? Well, short answer is, they don’t. Hydration is purely the relationship between flour and water. But baker’s percentages do account for salt and yeast as a percentage of the weight of the flour. I personally don’t use baker’s percentages for yeast and salt because I find it’s much easier to just throw in a teaspoon of yeast and a teaspoon of salt per ball of dough and call it a day. Yeah, I’m lazy like that. Hydration is affected by other liquids which are added to the dough, such as milk, eggs, butter or oil. 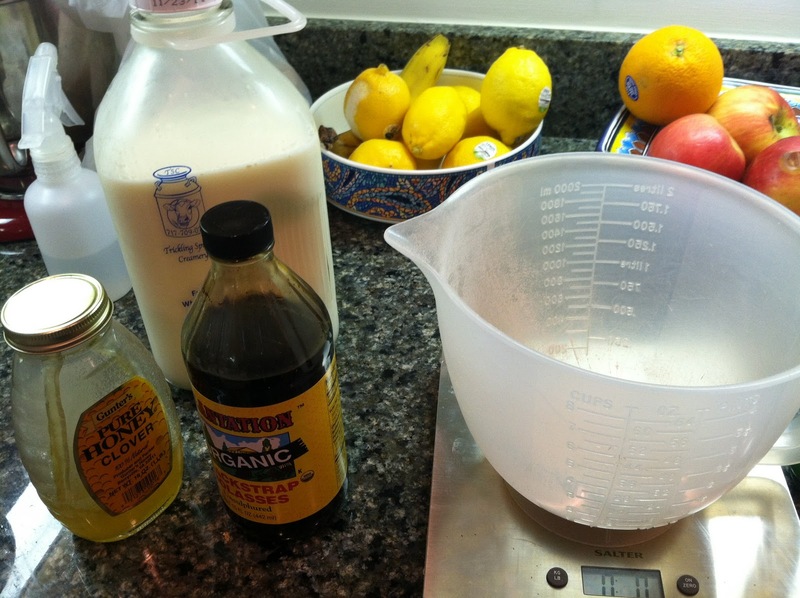 I talk about calculating for those ingredients in this post. 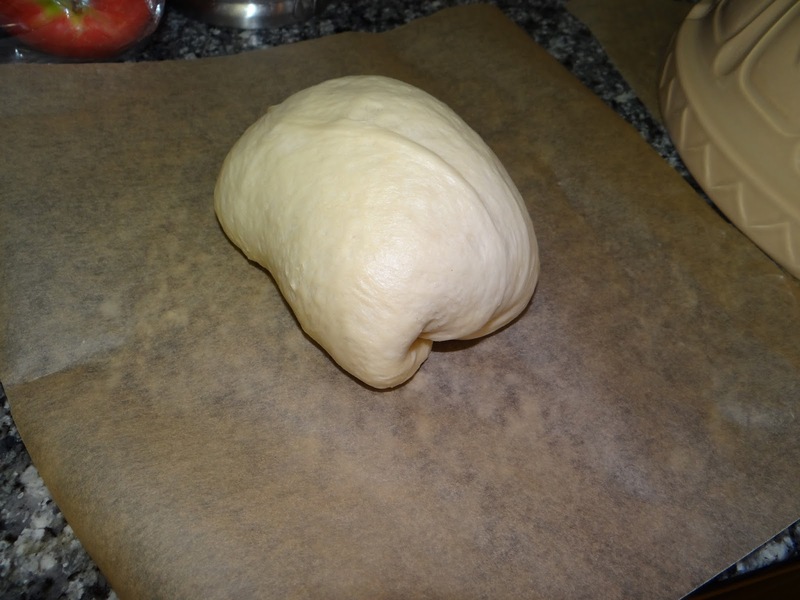 As for adding a starter to the dough, you can check out this post for more information (a biga is another word for a firm starter – one with low hydration). So, that’s about it for hydration. 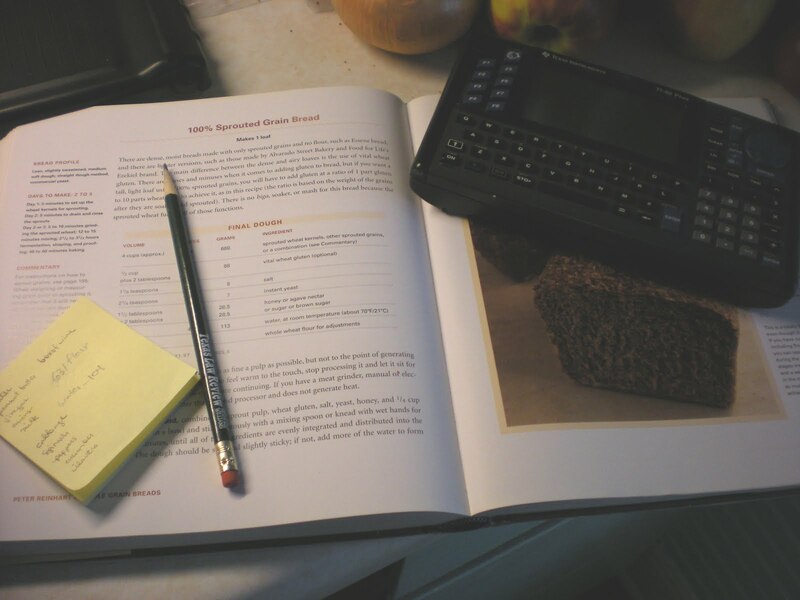 I hope this post was useful to you and gives you more confidence in the world of baking! 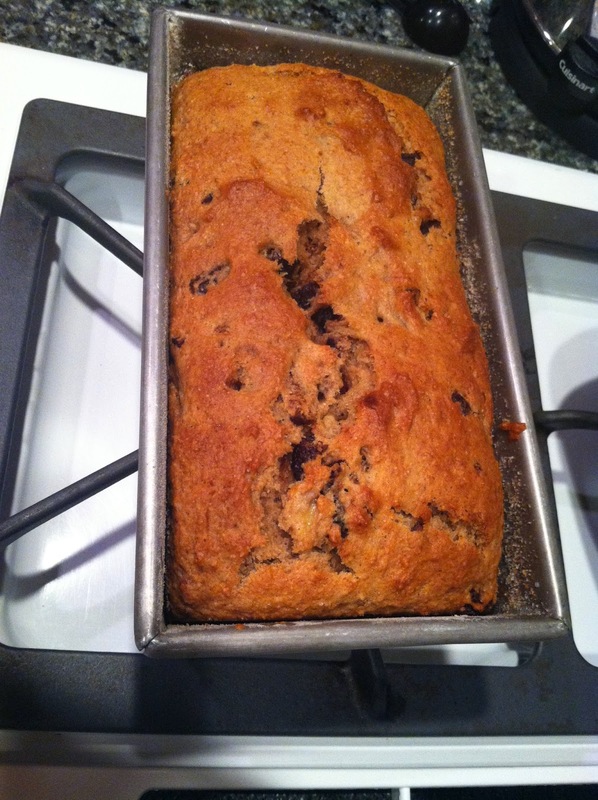 I'm really impressed with what you have absorbed over your ten years of bread-baking. I'll have to study the formulas a little more — I've been known to have the occasional 'oops' moment — and it's great to know they're here in plain language so that even I can understand. Thanks very much!